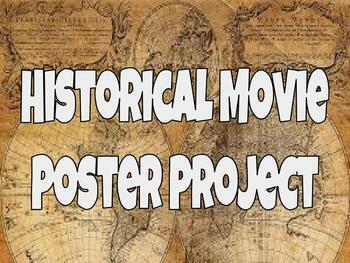 Historical Movie Poster - No Prep Needed! This assignment can be applied to any history class during any unit that you are currently teaching. All you need are copies of this assignment for your students and legal-sized printing paper or poster paper. With the grading rubric provided, it makes grading this project an ease. No prep needed!